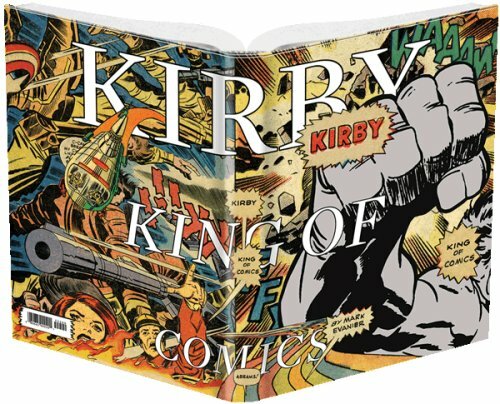 Mark Evanier’s book, KIRBY: KING OF COMICS was released in February 2008 by Harry N. Abrams, Inc. It’s a heavily illustrated biography of Kirby, 224 pages in an oversized hardcover with a retail price of US$40. The ISBN is 0-8109-9447-X and the EAN is 9780810994478. Mark Evanier’s News From ME has the most info on the book, like this update which describes the book and tells you what’s up with the more exhaustive biography, and a page devoted to additions and corrections. Your direct market comic book retailer of choice can get it for you through the December 2007 Diamond Previews catalogue, using the order code “DEC07 4132”.